Summer has finally arrived with its long days, bright evenings and colourful characteristic. It's a time for effortless socialising, relaxation, new experiences and a lot of time spent outdoors. It's that time a year we always remember with warmth, hope and a strong wish for a fast return as soon as it's over. For all of these reasons it's also a time that is captured on film a lot and often. 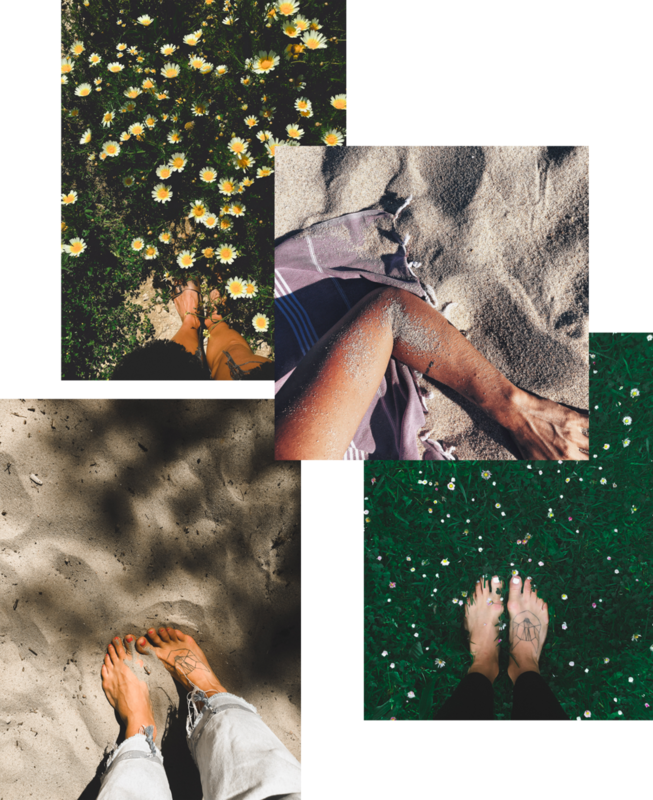 So these are our 7 best tips on how to capture and immortalise that summer feel in a way for us to stay warm and happy all year round. Summer has arrived with its dazzling light, long lived enough to bright up a full 24 hour day, almost. This provides us with unique photo possibilities enabling us to capture a lot of vibe in our photographs. From bright sunlight to hazy days and milky sunsets. But just because we have enough of the natural lights doesn't mean it's ideal photo conditions. In fact, one of the biggest challenges is to photograph in open areas soaked with sharp sunlight. Reflections are hard creating unfavourable outcomes and images in need of a lot and tricky post production. To avoid this, a good idea is to find a place in the shade where sunlight seeps through creating shadow patterns and depth. This does not only provides a softer light to photograph in, it also frames your image in a nice way. 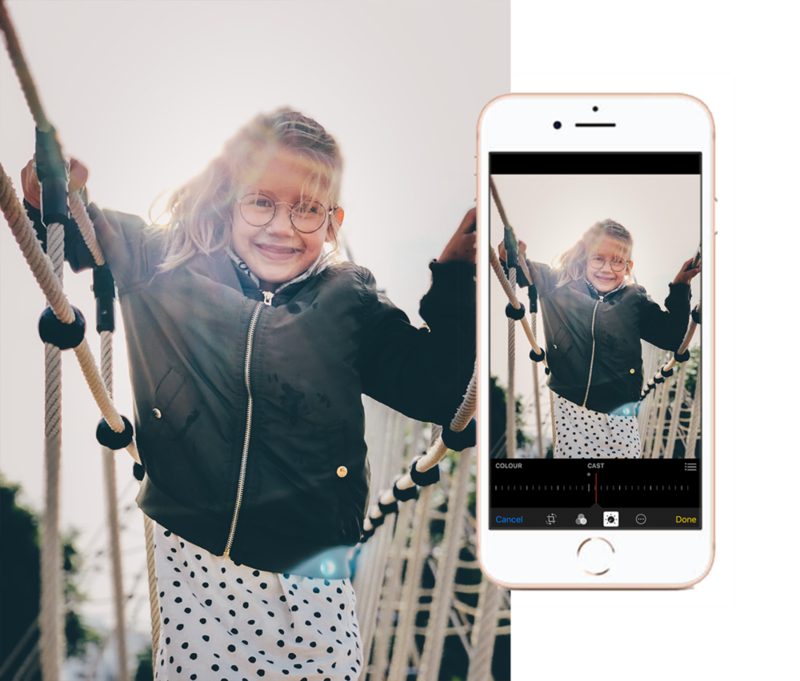 If you're working with an iPhone 7+, 8+ or X we highly recommend you to play around with its built in portrait mode function to enhance depth of field and feel in your photograph. When editing: Pull down highlights and whites a little but keep the image well exposed. This will give you a bright image but without having the whites in it bear the composition. Desaturate a little for a smoother result. The best part about summer is the fact that the light is present even when the sun is covered in haze. To avoid grey and flat images a good idea is to photograph your object in direct backlight to create natural lens flares. Let the light do the work for a glorious effect. When editing: Play around with temperature to create your desired effect. In this case we pulled the adjustment bar to the warmer side, creating a more summerish vibe making skin tones and hair pop. Here's a fact: not all sunsets has to be a burning pink/orange sensation to be beautiful. The soft and milky ones can be as luscious, if not even more photogenic. Capture that smooth feel on your evening stroll. When editing: Increase exposure, desaturate the image and darken the shadows just a bit for a sharp and contradistinctive yet soft and bright photo. Very often we find that the way we see the world is the way we want to remember it. A good example of that is the feeling of experiencing summer from water surface. If you're one of those with a water proof case for your iPhone this is a great opportunity for you to start play around with new perspectives. When photographing: Snap multiple images of the same object but from different angles. While doing so you're creating a series of photos filled with memories as well as a visually beautiful story telling your summer. When photographing: Identify the landscapes different lines and create your composition from your observation. Look for lines, for example the way the trees meet a trail slowly disappearing into the horizon. Our absolute favourite is a visual hack that will never grow old. When your start to look for natural colour patterns in your surroundings you will find them and you will get the urge to capture them with your camera. The output is beautiful photographs looking a lot more well planned than they actually are. Simply let your surroundings do the job. When editing: Enhance the vibe in the image by working with exposure, colour and shades. In this particular image we've desaturated a little, increased shadows and balanced it all with just enough light for the photo to not be experienced as under exposed. By doing so, colours blend in naturally creating a solid and soft feel. When photographing: Identify colours and then frame your image using colours and light. Most of the time it's the smallest of moments provoking the greatest of positive feelings. As the sensation of sand between your toes or walking barefoot on a warm summer meadow. Sometimes it's as simple as the feeling of sand and sune on your skin a still summers day. Eternalise that feeling by creating a collection of viby moments to bring out a grey day when you need them the most. This is proactive positive thinking. All we wish for you now is to have a great summer filled with precious moments.